Spider mites are a common pest of many greenhouse and open field crops. If not identified and controlled in time, it might result in significant losses. There are many species and subspecies of spider mites. The most common ones include the twospotted spider mite (Tetranychus urticae) and the Carmine spider mite (Tetranychus cinnabarinus). Twospotted spider mites are usually greenish, but the females can develop a red color during the winter. They have two spots on the side of their bodies (which are, in fact accumulation of body waste). Adult Carmine spider mites are reddish. The Spider mite eggs color varies from clear white, transparent and shining to pale creamy color. Eggs become yellowish in color at later stages. Preferred living conditions: spider mites like hot and dry climates, so increasing humidity and lowering temperature can provide a good protection. Temperature is an important factor in the rate of growth of mites, as the temperature increases, the number of eggs laid increases, but it decreases when humidity increases. Eggs can hatch within three days and reach puberty quickly within 5 days. One female can lay up to 20 eggs per day and her life span ranges from two to four weeks, during which she lays hundreds and thousands of eggs. One mature female can spawn a population of thousands of mites within a month or less. The mites feed on plant sap. They pierce the leaves with their mouthparts. Damaged leaves show grey and yellow dotted marks, which eventually lead to dehydration of the leaves. In severe cases, leaves may drop as a result of spider mites attack. If not treated, plants will eventually die. How to detect spider mites? At the beginning of the establishment of the colony it is very hard to see the mites with the naked eye. Therefore it is highly recommended to examine suspected plants using a magnifier. Spider mites usually settle in the underside of the leaves, where they lay their eggs. They produce a silky web to protect themselves, and their eggs, from natural enemies and to allow them to move between plant parts. When spider mites web is visible, it is an indication to an established colony and high infestation in the place where the web is seen. Do not confuse spider mites web with webs produced by spiders. 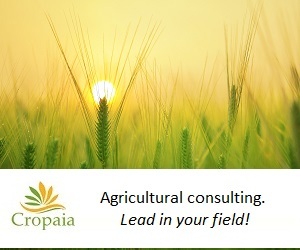 Organic pesticides – made from organic sources to reduce the reproduction rate. Biological control – uses live organisms for control of spider mites. Biological control refers to the use of beneficial insects, natural enemies to the spider mites, such as predatory mites, predatory thrips, black lady beetle (“spider mite destroyer”) and minute pirate bugs. Chemical pesticides: Various types of chemical agents help control spider mites. 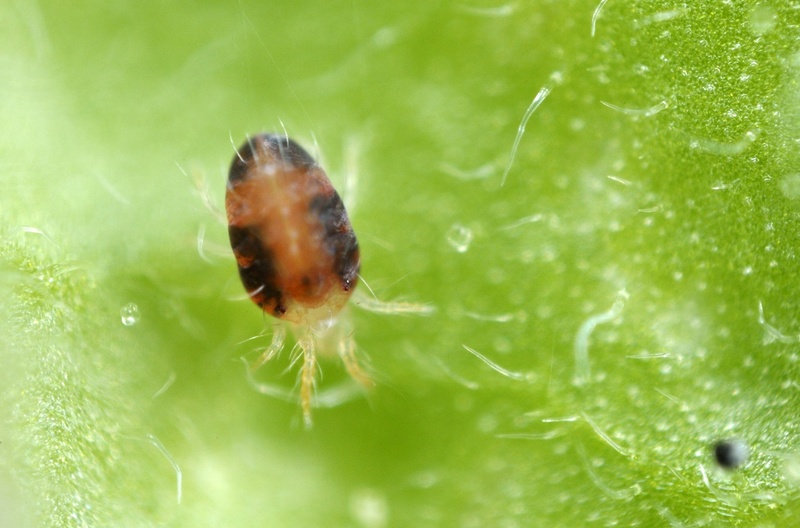 Their accelerated breeding rate allows spider mites to rapidly develop resistance to chemical pesticides, so a rotation between chemicals with different mode of action is required. It is also important to rotate miticides that kill the spider mites’ eggs with miticides that control the active stages – nymph and adult mites. Another important consideration is whether the applied material is systemic, translaminar or contact. Contact miticides have to be applied in such a way that the leaves are fully covered by the miticide, especially the bottom side of the leaves. When using beneficials (biological control), It is important to avoid chemicals that are toxic to them. Such chemicals include malathion, carbaryl and imidiaclorpid. This option does not exist growing outside, but growing in greenhouses allows sometimes to control humidity, keep clean cloths and tools when entering the greenhouse. In a controlled environment, a combined treatment of increased humidity, as well as organic control may obtain effective results.